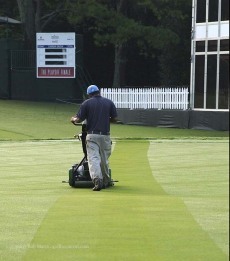 Atlanta-based photographer and new blogger Rob Matre has posted 42 images of East Lake's greens. Frankly, I expected much worse. Yes, a few of the greens look horrific, but many others only appear to have minor issues on the out edges. More offensive is that blinding bunker sand, but that's just me.